Talk about a ripping afternoon! 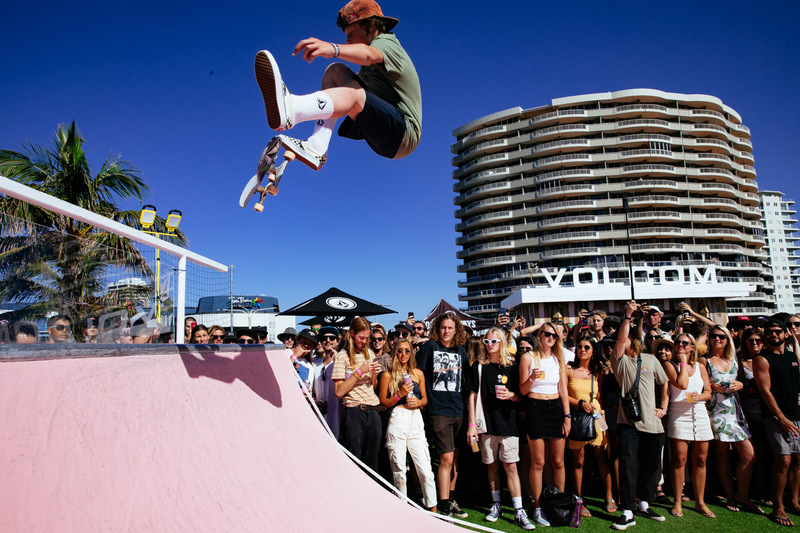 We headed to all the way up to the iconic Pink Hotel in Coolangatta for Volcom’s huge party yesterday, and it was definitely worth the trip. Taking over the highly grammable venue, we got to watch some of favourite Volcom team skaters destroy the pinkest mini-ramp we’ve ever seen, and catch stellar live sets from Crum, Blister, Ezra Lee, and Hell & Whiskey.